Deliciously golden toast made easy. Preparing deliciously golden toast and crumpets is easier than ever with the KitchenAid 4 Slice Toaster. 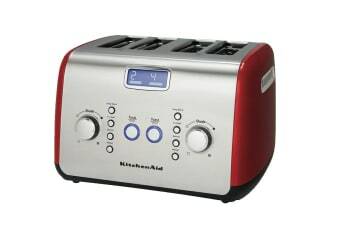 The KitchenAid 4 Slice Toaster features a motorised lift button that gently lowers and raises your bread and a blue LCD display that keeps track of your personal settings, so you can enjoy your toast just the way you like it, every morning. Handle the thickest crumpets, breads or pastries easily. 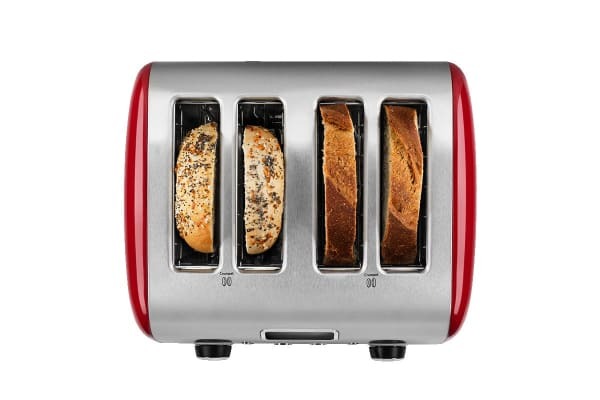 Both slots are 3.8cm wide to accommodate whatever you’re toasting. 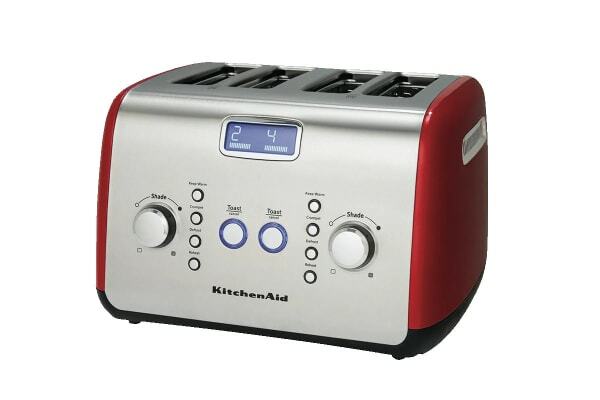 7 shade settings allow you to turn the Shade Control to the right for darker toasting or to the left for lighter – meaning you get the perfect piece of toast, everytime.